Amazon Alexa is a powerful voice service let you do things by saying the right phrases, and you can also control your SpotCam using Amazon Alexa voice service. 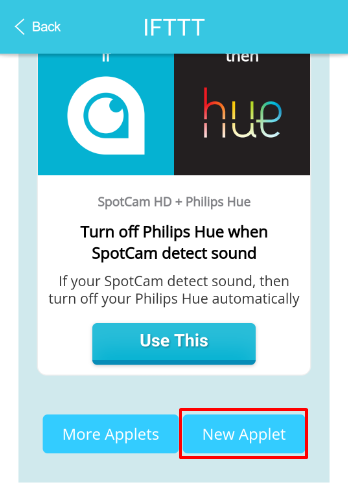 Amazon Alexa voice service is built in Amazon Echo/Tap/Dot series speakers and SpotCam is integrated with Amazon Alexa voice service via a popular platform called IFTTT (If This Then That). 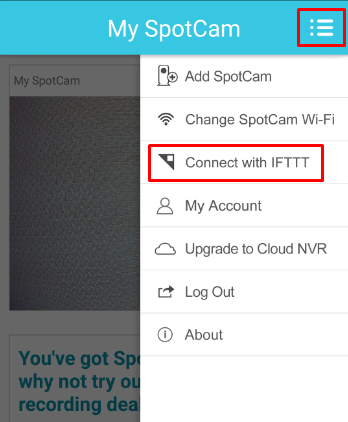 Here is step by step instructions on how you can enable IFTTT service for your SpotCam and then connect it with Amazon Alexa voice service. 4. Choose the applet you like to use, you can easily find applet related to Amazon Alexa voice service by using the filter at top right side of the page. 5. After you select an Amazon Alexa applet, you will see a card like below, please swipe to turn on the service. 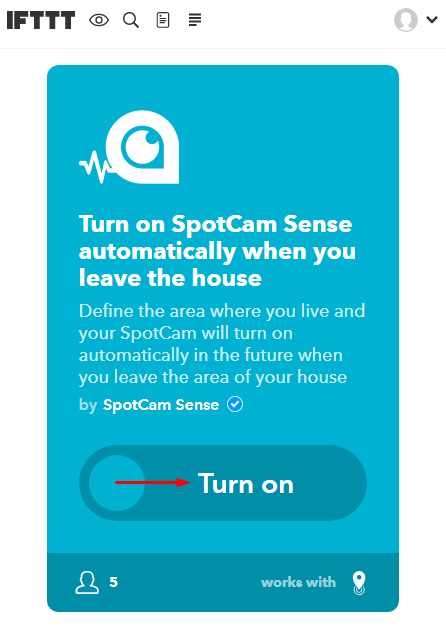 You may be asked to log into your Amazon Alexa account and permit IFTTT service connect to your Alexa service, please follow the instruction on screen then you are ready to go. 3. Choose the applet you like to use, you can easily find applet related to Amazon Alexa voice service by using the filter at top left side of the page. 4. After you select an Amazon Alexa applet, you will see a card like below, please swipe to turn on the service. 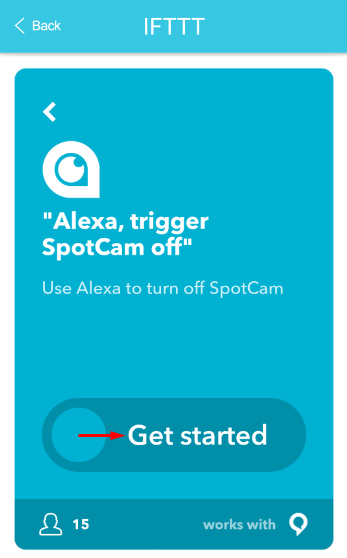 You may be asked to log into your Amazon Alexa account and permit IFTTT service connect to your Alexa service, please follow the instruction on screen then you are ready to go. 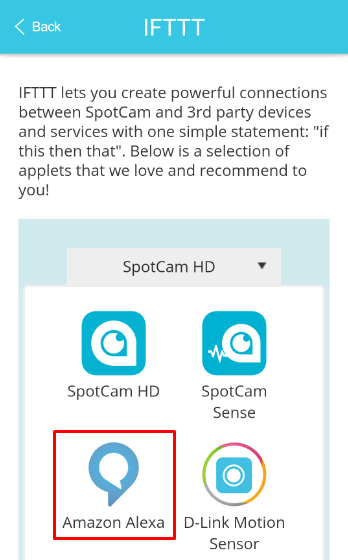 It is also possible that you don’t find the applet you like to use in our current selections, in this case you can easily create your own applet by clicking on “Create a applet” button on the same page above mentioned in SpotCam App or SpotCam website.